Because it’s out of sight, a home’s foundation is also out of mind for many people. However, ignoring your foundation can set you up for a wide range of problems. One important part of maintaining your foundation is repairing it at the first sign of a problem. If you’re in need of foundation repair in San Antonio, then read on to learn about this service. When constructed properly and in good condition, a home’s foundation is what holds the structure above ground, insulates it against cold temperatures, keeps moisture at bay, holds back soil, and protects it from movements in the surrounding land. Without a good foundation, your home becomes vulnerable to a wide range of structural and functional problems. The longevity and integrity of your home’s foundation rely on several things. First, you should know that drainage plays a critical role in the health of your foundation because too much water on your property can damage the concrete and lead to cracks and deterioration. Also, the state of the soil around your home can impact your foundation. Changes in the way the soil sits or a lack of proper compaction before its construction can result in shifting and settling that causes the foundation to crack. Lastly, tree roots can be an incredibly strong force, and as they seek out water, they can burrow through your foundation, weaken it, and leave it more susceptible to water damage. 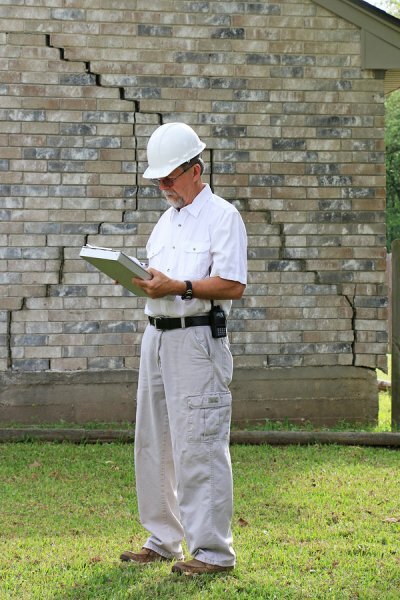 When you contact a foundation repair company, they will start the process by performing a thorough evaluation of your property to assess the land, inspect your foundation for damage, and identify the cause of the problem. Next, the foundation may require leveling and stabilization to restore its structure. Then, any necessary fixes will be performed. For some homes, soil stabilization and drainage correction will be needed to protect the repaired foundation from problems in the future.